Brisbane rocks, good and proper. The Friday after I landed I went out for Nat’s cousin Hayleigh’s leaving do in The Valley™, had a good night, met a few cool people! Hayleigh’s moved down to Melbourne, she’s staying in my old room! Funny how things work out, eh? And of course Sunday was the Every Time I Die gig. Those guys, they know how to rock the party, no matter the temperature. It was a proper stinker of a day, I don’t think I’d ever sweat so much in my life. Lovely stuff. Outstanding gig though, well worth it. I’ve walked around this city a fair bit, got a bitty burned on occasion as well. It’s a great city to wander around, some beautiful sights and of course the glorious weather. I was even stopped in the street for a wee interview with the state’s newspapper, about what Australia Day means to me and what I’m doing for it. Well, I was quite taken aback and didn’t know quite what to say so ended up giving the nerdiest possible answer. Turned out I was to spend STRAY’DAY with Ben and Sarah (his Sarah) and his chums. We caught the STRAY’DAY eve fireworks an’ all, it was good times. Ben was kind enough to offer me a place to stay for relatively cheap rent, on the condition that if he sells it or gets interest from people wanting to hire it out short-term, I’d have to find somewhere else to stay. Well, it happened a lot sooner than I expected I must admit, but fair’s fair, he has the opportunity to make a lot of money from that place, and he did warn me! The unfortunate thing is that they’ll be occupying the property for four weeks, starting when I’m in New Zealand. Ah. That’s a bit awkward. But hey, there’s lemonade to be made out of this situation, I’ve had a look at other places to stay and I’ve found some pretty pimpin’ places alright. Up in high-rises in the CBD and The Valley™ and all sorts. One in particular, based in The Valley™ just a short walk from work with a resort-grade swimming pool area, awesome rooftop barbecue/chill-out area and astonishing – and I mean astonishing – views of the city from the flat itself. I wish I’d taken photos! Unfortunately it fell through at the last minute but I’ve settled for a fine place in the CBD. Sadly lacking in such good views, but it’s a nice flat alright and the other fella seems cool enough from my brief encounter with him. It’s all been fairly exciting! When did I turn into this sort of optimist…? Dan got his second year visa! WOOH! And I’ll leave you with this because it’s been cracking me up no end. 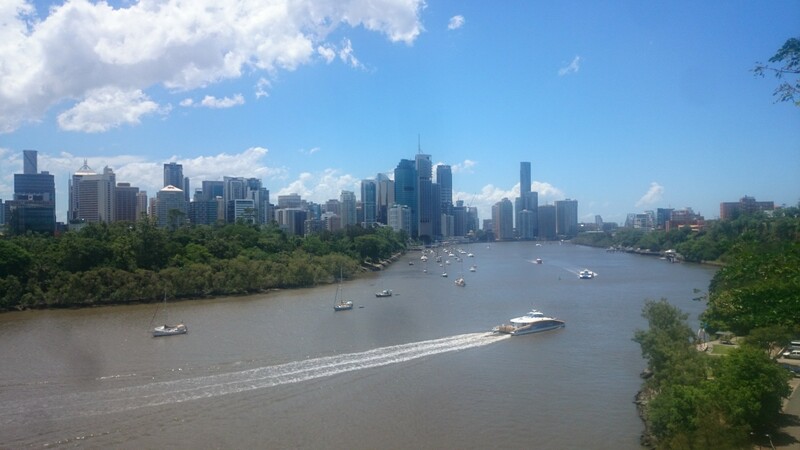 Previous Previous post: A Brisbanite Is Me!